Better have your passport ready because the Frenchton is about to take you overseas on an international flight! 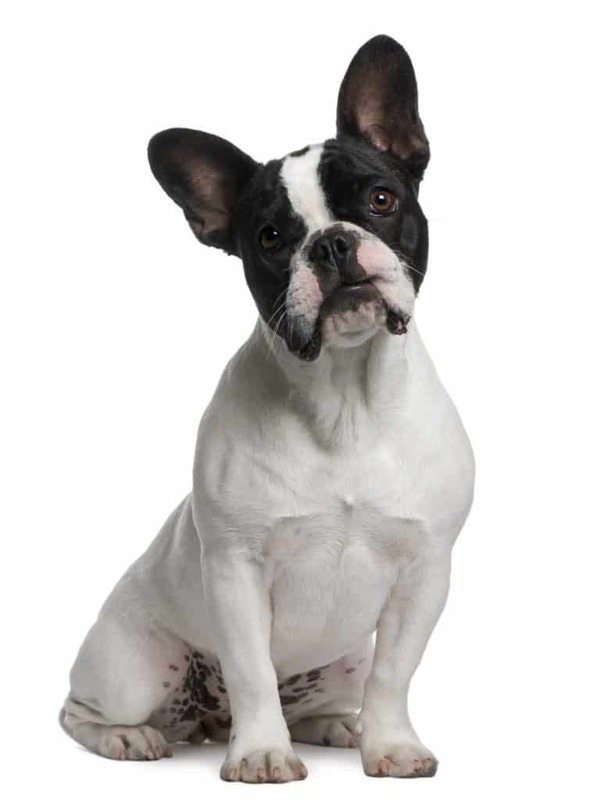 As its name suggests, the French Bulldog Boston Terrier Mix has roots on two continents. It’s part European, part American. I put the article together because sometimes Frenchton puppies get overlooked. People either mistake them for a purebred French Bulldog or a purebred Boston Terrier. But in fact, this mix gets you the best of both worlds. Keep reading to learn more about the pros and cons of the worldly Frenchton. Frenchton Vs. French Bulldog: What Are The Differences? 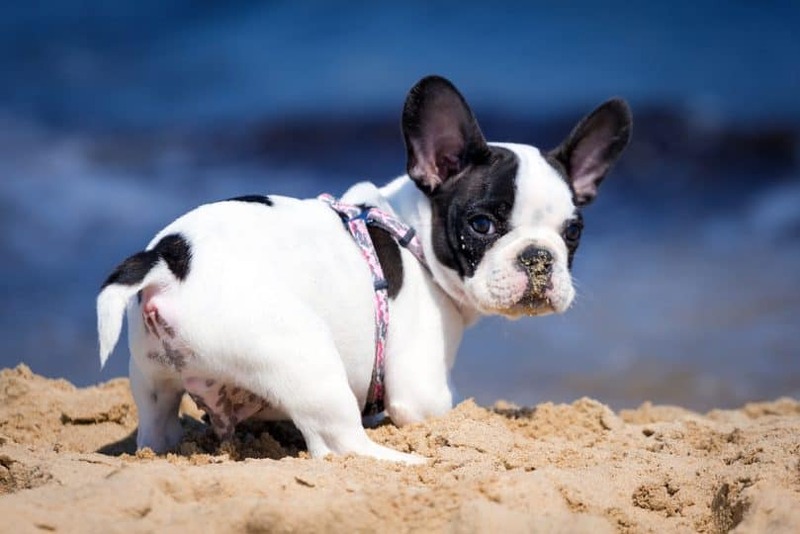 What Does A Frenchton Look Like? To avoid any confusion, the Frenchton is a designer dog bred intentionally by humans using a Boston Terrier and French Bulldog. The Frenchton and French Bulldog are not the same breeds; however, they can be close in genetic makeup. This mix can either be 50% French Bulldog and 50% Boston Terrier. Or, 75% French Bulldog and only 25% Boston Terrier. Of course, this isn’t always an exact science. What we can draw from this is the Frenchton will carry more traits and characteristics from the Frenchie. If you’ve ever Googled the Boston Terrier French Bulldog Mix, chances are the English Bulldog came up as well. Just know these two breeds have nothing to do with each other. There are no English Bulldog genes in the Frenchton. Check out the size difference between a Boston Terrier and a Frenchton puppy. This designer dog was first developed in the 1990s to be a healthier version of its parent breeds. Their goal was to eliminate health hazards, as well as increase the Frenchton’s overall size and stamina. 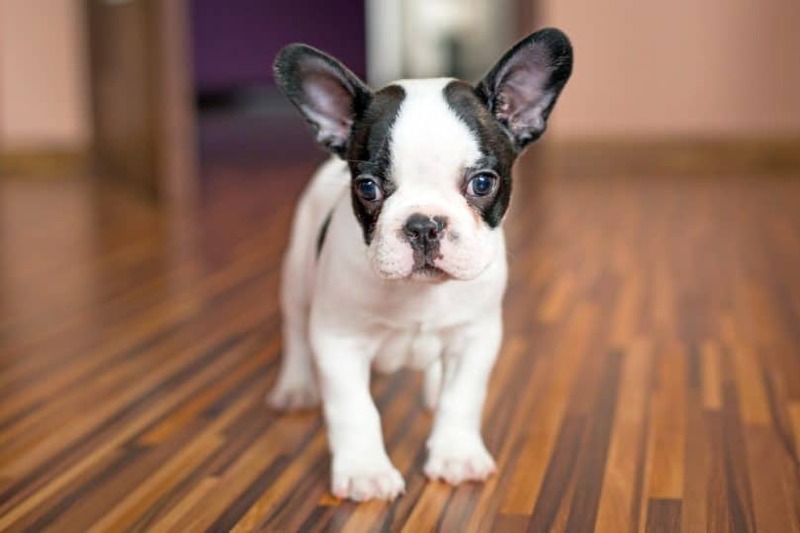 The Boston Terrier French Bulldog mix is a registered breed within the American Canine Hybrid Club, Designer Dogs Kennel Club, and more. Amongst these organizations, this breed goes by many names. Health improvements aside, the Frenchton was bred to be a great companion dog who will sit with you on the couch for hours. People grow so attached to this mix that they buy clothes for it and dress it up in cute accessories. Word of caution: all Bulldogs have a fair amount of health concerns, even if it’s mixed with different breeds. We see it with English Bulldogs, French Bulldogs, and American Bulldogs. The most common health issue for Frenchton is respiratory. Their short snouts make it harder to breathe after exercise or in the heat. Frenchtons also cannot handle extreme temperatures, hot or cold. Less active Bulldogs are also prone to obesity. They don’t necessarily enjoy going outside for a long time, but it’s important for their health. Regarding grooming, It’s important to check their eyes for infections (commonly known as cherry eye, which causes the area to bulge out of the socket), skin wrinkles for allergies, and teeth for gum disease. You’ll save time with bathing these dogs because many owners choose to clean their face and body with a baby wipe or washcloth. They rarely need proper shampoo. 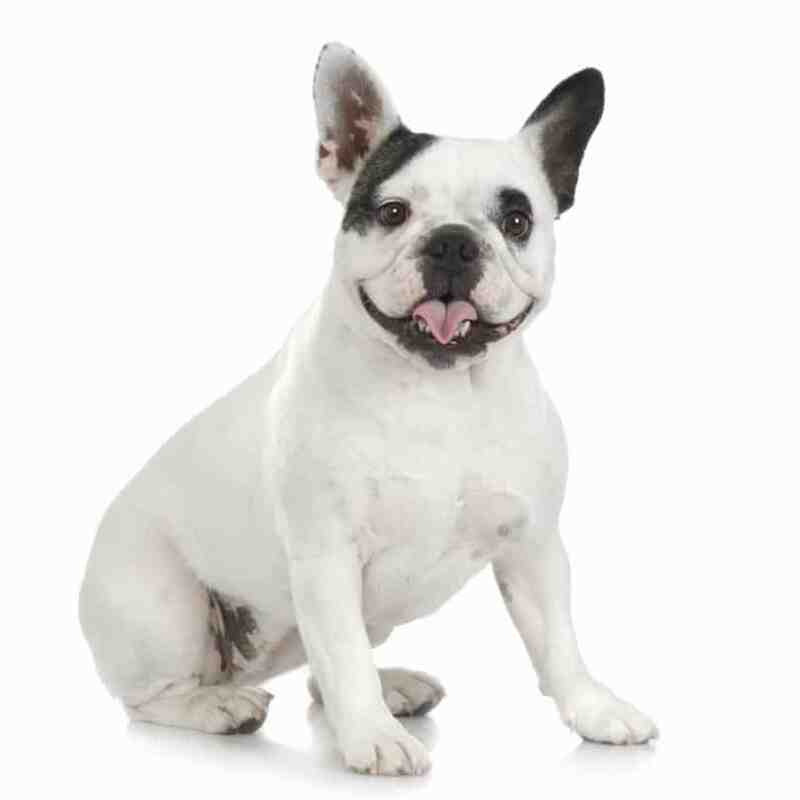 The French Bulldog Boston Terrier Mix requires high-quality dry food to be accurately measured each time to avoid overfeeding and underfeeding. About two cups a day is perfect. The weight of this mix is vital to its health. If taken care of properly, Frenchton typically lives between 12 – 15 years. 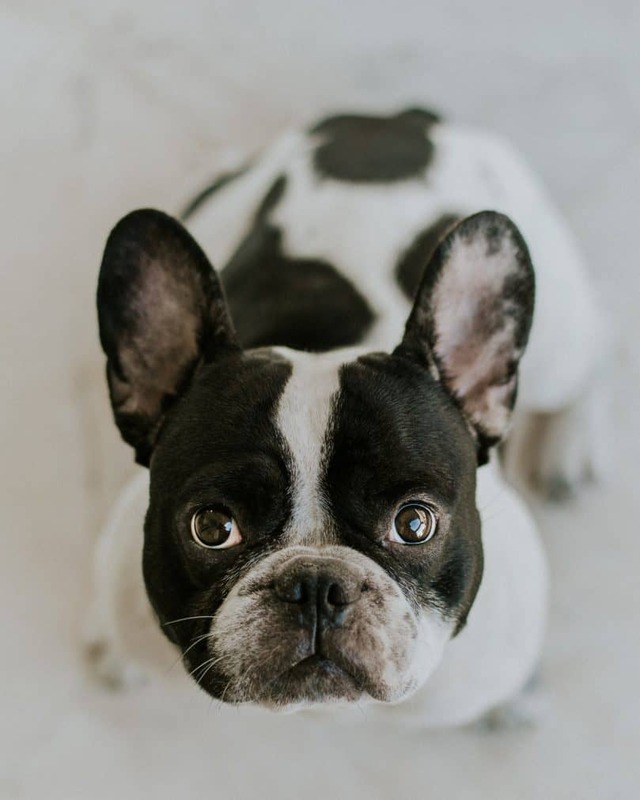 The French Bulldog and Boston Terrier are both considered companion breeds, with energetic and playful personalities — much like the Frenchton as well. This mix is extremely friendly, energetic, loyal, and intelligent. However, their smarts do not make them easy to train. The stubbornness of the French Bulldog could make training difficult and more time-consuming. However, the Boston Terrier is more eager to please. Because man bred the Frenchton, it’s in its nature to love human attention. It craves cuddles and tummy rubs from children, adults, and strangers. Ergo, not the best guard dog. The ideal owner for a Frenchton is someone who is home often and keep it company throughout the day. One of an area of caution around this breed is with other dogs. Sometimes, the Boston Terrier French Bulldog Mix can get snippy and aggressive around other smaller dogs, but cats are just fine. This trait is common with French Bulldogs and could be passed down to the Frenchton. This dog is quite the chunky meatball! Its thick and muscular body takes after the French Bulldog more so than the Boston Terrier. A full grown Frenchton reaches between 14 – 16 inches (35.5 – 40.5 cm) and 15 – 25 pounds (7 – 11 kg). The coat colors range from brindle, black and white, fawn, cream, and brown. Arguably their most distinctive feature is that adorable and goofy underbite. When I was researching this breed, I noticed MANY people in the community were curious about the Frenchton’s ears. 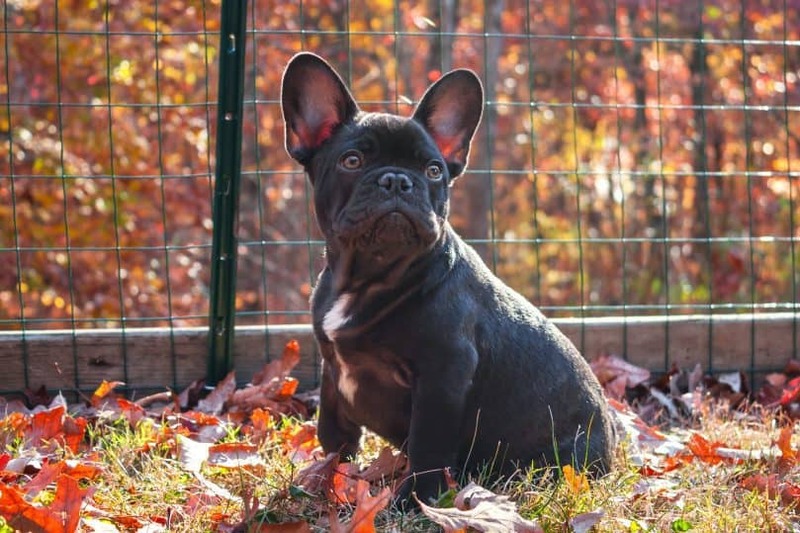 Although we can’t predict the exact time its ears will stand up, the French Bulldog’s breeders suggest its offspring can be born with two floppy ears, or just one. But by the time they’re done teething, both ears should be straight and stiff. Like a bat. Hopefully, that answers this question, you possibly also had. When looking for a Frenchton, keep in mind that designer dogs, in general, are harder to find at adoption centers, rescue websites, and human societies. But hey, we advocate adopting is better than shopping! Check out Adopt-A-Pet, Puppy Find, and Pet Finder as a starting point. Breeder websites (like Lancaster Puppies in Pennsylvania, Puppy Love Kennels in Tennessee, and Canada-based Kijiji) are a popular choice because you know exactly where your dog is coming from and who the parents are. That being said, breeders can charge up to $1,500 for Frenchton puppies. Not a cheap breed. This mix can adapt to many homes, like a tiny apartment in the heart of New York City or a snow cabin in the woods of Calgary. Another benefit of living with the Boston Terrier French Bulldog Mix is they rarely bark. The Frenchton can have brief moments of hyperactive activity, where it runs in circles and scratches its back against the floor. But that usually only lasts a few minutes and then it’s immediately exhausted. For the most part, this breed only needs 30 minutes of activity each day. But whatever you do, do not take your Frenchton swimming. I’ve seen Youtube videos of Bulldogs in the water…but don’t be misled! They can paddle for a brief period on their own, but once tired, they could drown. If it’s a scorching hot day, only put your Frenchton in the water with a doggie life vest. After reading this, you’ve probably decided whether this breed is right for you. My suggestion is, if you spend a lot of time at home and don’t mind a semi-lazy dog, go for the Frenchton. But if you’re worried about getting along with other dogs, or you take frequent business trips, pick a different breed. So, does the Frenchton suit your lifestyle? Comment below and let us know!